The Connecticut Writing Project was started in 1982 in the English Department at the University of Connecticut by Professors Bill Rosen, Bill Sheidley, and Bill Curtin. Its goal then and now was to improve the writing instruction of teachers at all levels of education and from all disciplines. Over 450 teachers have received Aetna Fellowships to attend CWP Summer Institutes, and thousands more have benefited from its professional development services in schools and its writing programs for students. We invite you to check out this interview on Education Matters where our director, Jason Courtmanche, talks about the Connecticut Writing Project-Storrs and the work we do here. "The summer Institute in 1993 and my Aetna Fellowship made a profound impact on my life, both personally and professionally, for which I will always be grateful. I just wanted you to know that my recent donation to the CWP is a small way of expressing my appreciation to all of you. The CWP literally changed my life. Keep up the great work." Click one of the suggested amounts or type in the amount that you wish to give, click "Donate," and follow the rest of the directions given. 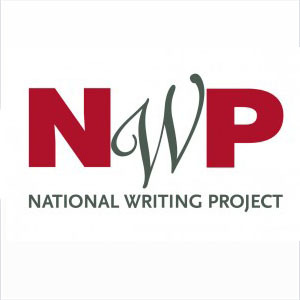 You can support the Connecticut Writing Project via the National Writing Project. The National Writing Project has also begun an initiative to support Writing Project sites all over the country. Donations made this way will also provide support for a national network to support all sites. Choose a donation amount, fill out the rest of the information and then click "Contribute"
Your donations will ensure that both teachers and students alike can continue to benefit from the quality training that the CWP-Storrs provides our community!